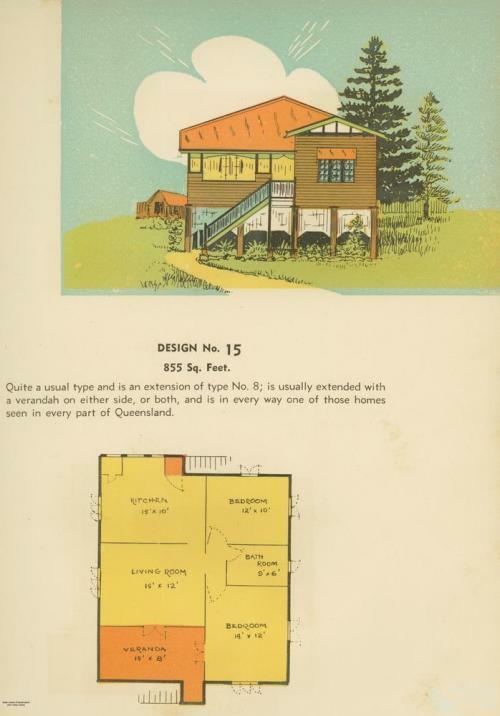 Floor plan and drawing of a popular style of Queenslander house found throughout Queensland. The house, set on stumps, made its transportation possible. Queensland's wooden buildings are transportable. One truck moves the old laboratory at the Pioneer Sugar Mill in Brandon, 70 kilometres south-east of Townsville, 1965. Slide by Beth Snewin, Collection of the Centre for the Government of Queensland. The architecture throughout Queensland enables many buildings to be relocated. Two trucks take away the Commonwealth Savings Bank in Barcaldine, 1961. 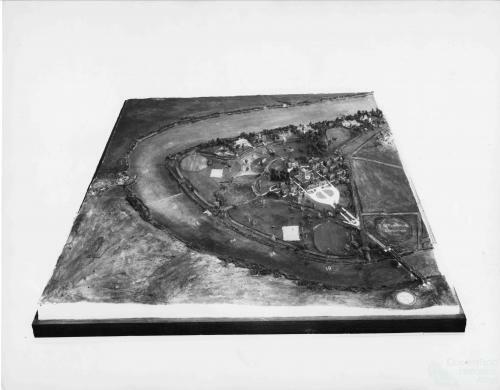 Slide by Gladys Hartland, Collection of the Centre for the Government of Queensland.